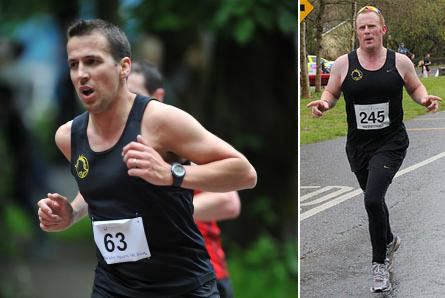 We had two members in this half-marathon in Wexford with John McCarthy and Tim McCarthy making the journey. Conditions on the day were quite tough with a strong breeze to contend with. The course itself certainly wasn’t flat with an ascent of 200 or so feet to contend with. Tim McCarthy’s time of 1:31:46 was a new PB for him and comes just a month after running a PB of 3:29:23 in the Barcelona Marathon back in mid-March. Back in September of 2013, Tim ran his previous PB for the half with a time of 1:41:05 in Charleville so he has come a long way in the last 18 months.